This picture was taken as we celebrated our 50th wedding anniversary with friends in Ajijic. 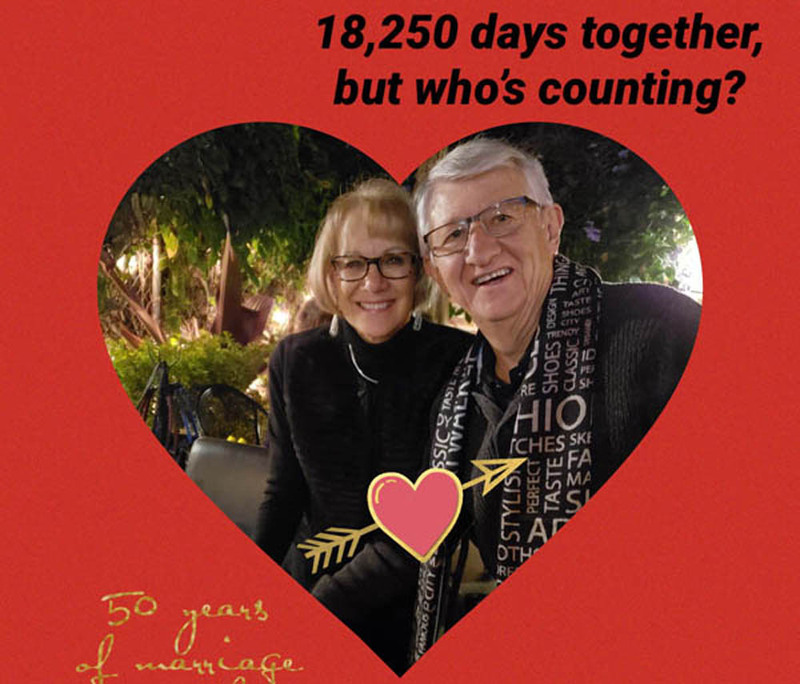 Carmen used this picture to create t-shirts with us inside the heart, which we wore as we celebrated our actual 50th wedding anniversary on December 28th in Cancun. Carmen, Denise and their families joined us in this adventure, where we ended up spending our entire 2019 travel budget--but it was well worth the experience and the memories! This summer we are planning two RV road trips with Carmen, Denise and their families and hopefully we will get to see our siblings and friends in the USA before the end of this year. Our electronic story book, Roaming through Retirement, is now a dozen years old. So far, we have 'roamed' through all the states in the USA, all the provinces of Canada, half the states of Mexico and 20 countries on five continents. Our goal is to continue journaling our experiences through pictures and stories; share them with family and friends; and create an effortless way for you to keep in touch with us. Please click HERE to keep us up-to-date with your happenings. Thanks again for checking us out and hope you enjoy the journey.